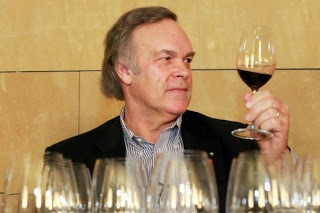 Robert Parker Jr – the world’s most renowned wine critic – has stepped down as editor-in-chief of the influential publication, the Wine Advocate. A percentage of the magazine has been sold to three Asian investors (unnamed so far). The Wine Advocate headquarters will remain in America, but a large office will be set up in Singapore, a move which further adds to the current trend of an Asian booming market. With Hong Kong now the fine wine auction capital of the world and China and India increasing their imports every year, Parker is simply following the natural order. Lisa Perrotti-Brown MW will take over from Parker as editor. She is Parker’s Singapore-based Asia correspondent, therefore a perfect fit to fill his shoes. The magazine will look to shift its focus over to the Asian market. The Wine Advocate now has over 50,000 subscribers. There will no longer be a print edition of the magazine; it will only be available in online form. With the introduction of an office in Singapore, this subscription rate is bound to increase in the coming years. Parker will remain the Wine Advocate’s CEO and owner of the brand for the time being. Specialising in fine Bordeaux wines, Parker has been the industry’s most respected critic for over thirty years. Parker has won countless awards across the globe for his knowledge and palate. His points system is ubiquitous in the fine wine market.